Nothing can ruin a person’s day faster than being pulled over for a speeding ticket. Everyone knows a speeding ticket can be costly. But, what they don’t know is how costly it can be. A conviction to a 21 mph over the speed limit ticket can cost thousands of dollars in fines, penalties, and insurance increases. In some of the most serious speeding ticket offenses, the court can impose a license suspension or a jail sentence. To further complicate things, fighting a speeding ticket can be stressful and a huge waste of time. Fortunately, you have a choice. You can either plead guilty by mail or wait for the court to hand down a sentence. Or, you can plead not guilty and hire our award winning team of experienced Chatham speeding ticket lawyers. Our lawyers have gained a superb reputation and we are consistently recognized as some of the finest attorneys in the New York State. Give us a call to learn how we can help at 800-893-9645. We have offices throughout New York and we can handle your moving violation. Not every court can adjudicate every case. This is particularly true for Chatham Town Court. 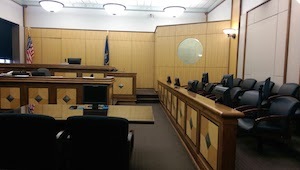 Chatham Town Court is a court of local jurisdiction. It can adjudicate civil matters normally referred to as small claims cases. It can adjudicate criminal cases. Most of the criminal cases heard in this court are misdemeanors. The majority of cases heard in Chatham are traffic tickets. These cases are usually speeding tickets, cell phone tickets, lane violations, and inspection sticker tickets. When fighting a ticket pro-se, there are many pitfalls that a driver can fall into. There are three basic pitfalls to watch out for to avoid a license suspension. PITFALL 1: Answer the ticket. Answering a ticket is the process of filing papers with the court and entering a plea. A driver can enter a plea of not guilty or guilty. Although it may be basic, to some drivers this is not as basic as it may seem. If a driver fails to enter a timely plea, the court can suspend a driver’s privilege to drive. The process or restoring a driver’s privilege to drive can be cumbersome. Furthermore, driving with a suspended license is a crime in New York. A driver’s car can be impounded and the driver can be arrested. PITFALL 2: Show up to court. If a timely plea of not guilty is entered, the driver will receive a notice in the mail advising them when they need to appear in court. Similar to rule number one, if a driver fails to appear in court, the driver’ privilege to drive can be suspended which can lead to an arrest and bigger criminal charges. PITFALL 3: Pay the fine. Once a driver resolves their traffic matter with a guilty plea, the judge has the ability to impose a fine and a mandatory state surcharge. It is important that the driver pay their fine on time. Most court require payment in court once a matter is resolved. Some courts may afford a driver additional time to pay. The failure to pay a fine will also result in the driver’s privilege to drive to be suspended. Our Chatham New York ticket lawyers have been representing drivers for years. We have successfully defended thousands of drivers throughout the state and have gained a reputation as superb traffic ticket lawyers. We are lead by a former prosecutor who has a keen understanding into the Vehicle Traffic Law and Thruway Rules and Regulations.